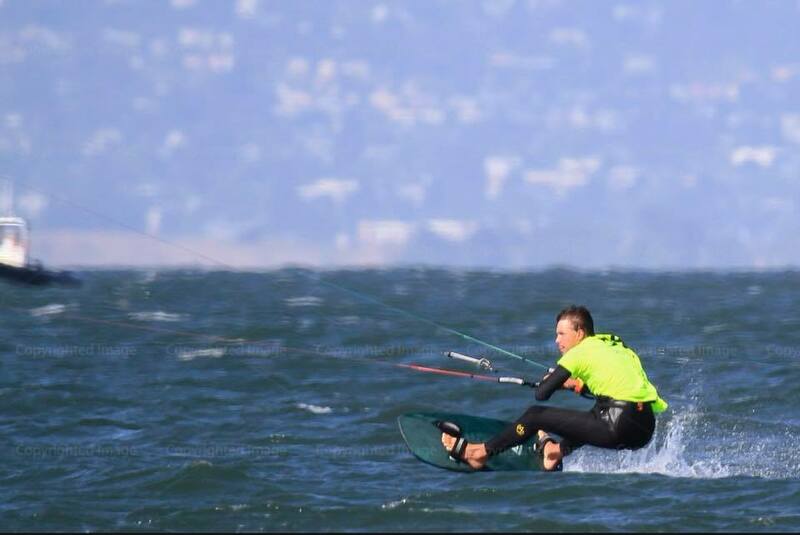 First of all I am stoked to get the overall Hydrofoil Pr Tour title. Loved all 3 events, they were all super fun and all had an amazing vibe, the racing was seriously intense in all 3 with major battles at the top. 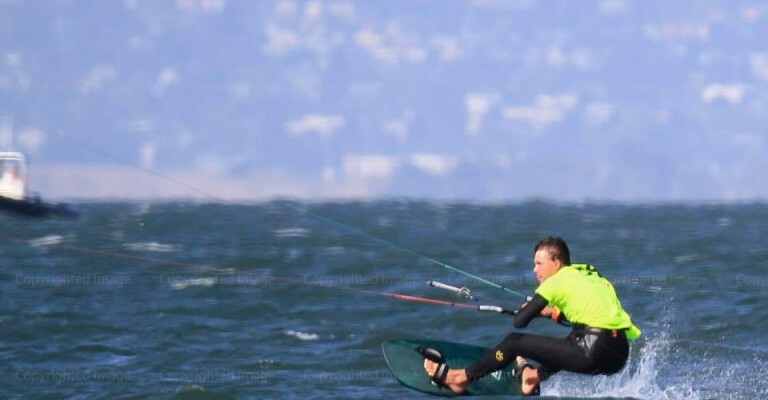 The first event in Mexico was pretty amazing with perfect foiling conditions in an amazing venue, Olly put on a super good performance and took the win and was one of many wins for the new Flysurfer Sonic race VMG. 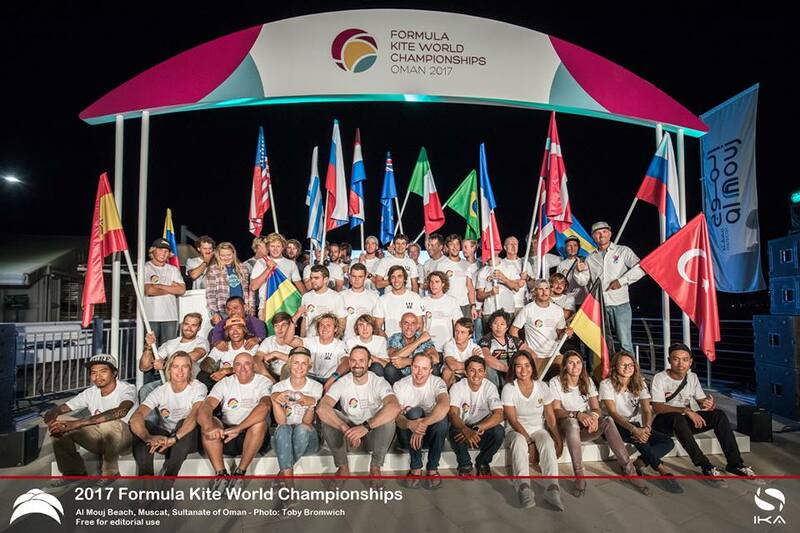 The second event of the year was in Montpellier. We had a steady wind throughout the event which made the course like a race track with any mistake being costly for the race. I felt really good in these conditions and was able to push pretty hard and was able to take my first ever international win! The third event of the year was probably my favourite event of the whole year, with some really strong winds the whole time we were there and meant for amazing racing. At the top we tended to share the results with Johnny, Nico and myself exchanging positions every race, it was my first time there so I really enjoyed the whole environment of the place and the vibe of all the riders all fully frothing on the spot and wind! Nico ended up winning and put on a seriously impressive consistent performance. Was stoked to take third and can’t wait for next years tour especially going back to and race in Mauritius is unreal. 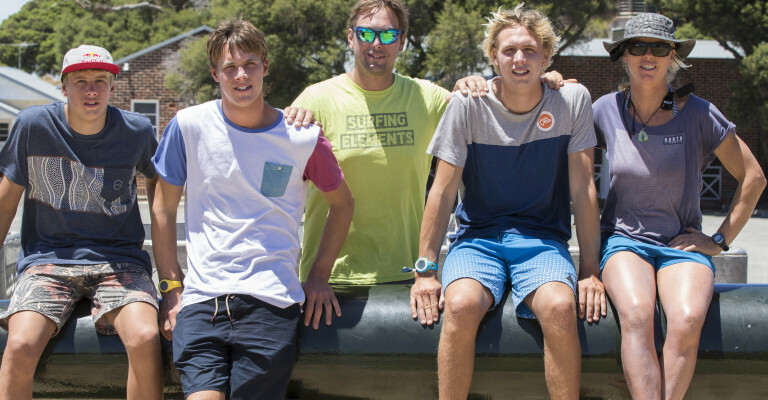 The email came in around August to see if we, the full Team Bridge wanted to attend the best ever kite race in the southern Hemisphere: The RedBull Lighthouse to Leighton Race. August is always manic & never enough time to give the whole trip our total thought. However, saying YES is what we do & this time all 5 of us to travel & be together for the journey. With over 150kg’s of wave, freestyle, foil & Camping gear between us, travelling Light was NOT an option. 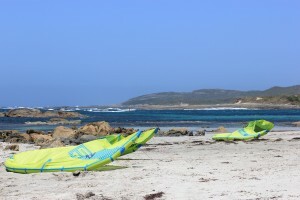 We had 3 days to get familiar with the short sprint from Rotto to Leighton and remind ourselves of the incredible force of the daily ‘Doctor’ that delivers 20 – 30knots thermal S/SE winds everyday from around 11am. 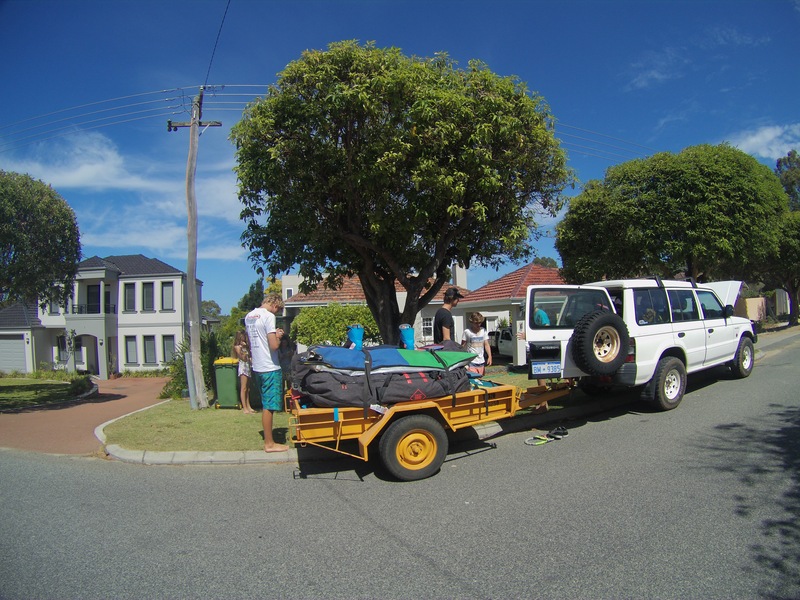 Attracting 160 kiters from around WA & other parts of the world the day begins at 7am at The ferry Terminal with the loading of gear onto the ferry, registration & huge banter amongst the athletes all setting off to cross the stretch of water together. My 4th time back, we enjoy catching up with old Perth friends who welcome us like we are residents. For Eric, the very relaxed approach & enjoyed the vibe, not dis-similar to other red bull distance races he had been part of. Unlike most other days, this day was hotter -up to 40degrees and this meant that the reliable ‘Doctor’ was late & not scheduled to be as strong. A start time scheduled for 1530hrs and we all set off eager to be the first across the line. 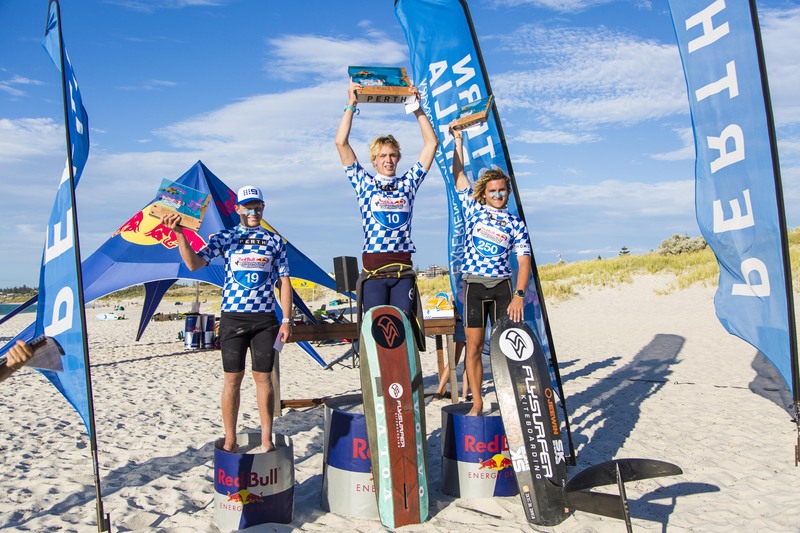 Twenty minutes later Olly arrived at Leighton Beach to a huge crowd and being the only person to have won this crossing twice and just 20 seconds off the record. Missing out on a podium position, Guy took 4th and I came in 11th overall & 1st woman. Eric could have used some more power but finished the challenge around mid fleet while Tom had his own problems back at Rottnest Island. 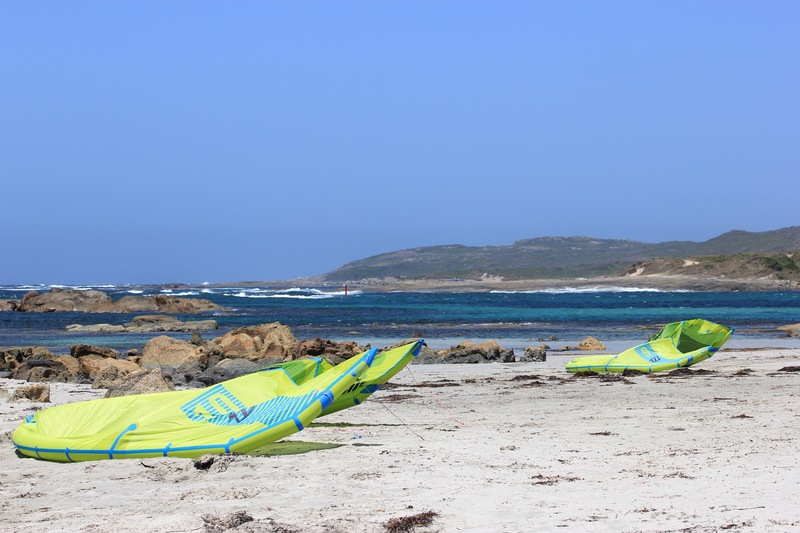 While we were all busy celebrating, Tom was stuck on the beach at Rotto with a broken bridle & waiting for his return ferry back to mainland! It wasn’t long before the jet lag eased & we soon settled into the Australian life of Kite- Eat- Sleep – Repeat! 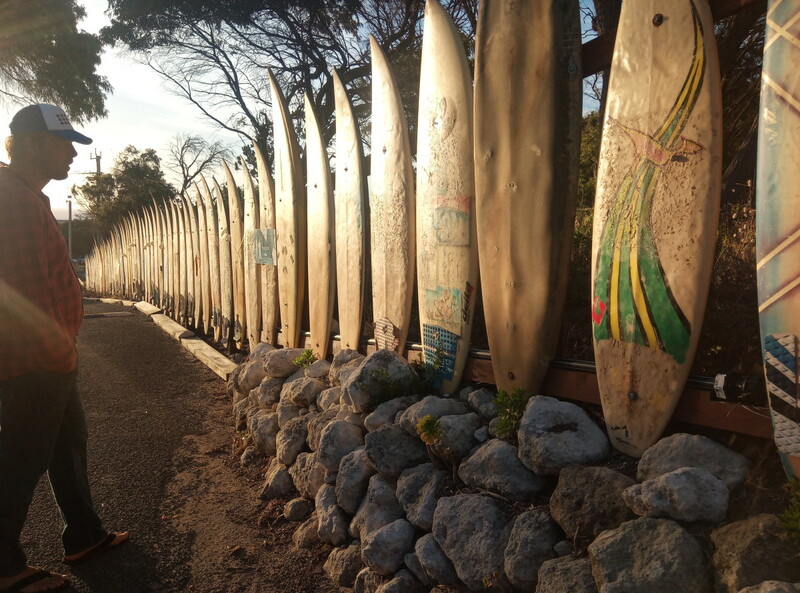 Missing out on everything christmas we soon swop the flat water of Woodmans point (‘Woodies) for the small Neo’s & wave boards. Pitching the tents at ‘Margies’ we were now officially on holiday. 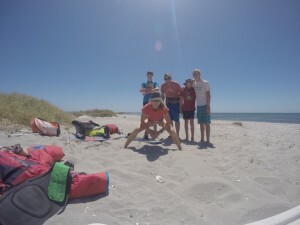 Wifi, mobile reception non existent and mornings surfing & swimming were soon followed by our first dosing of ‘eric’s kitchen’. Back of the truck Omlette’s & coffee were cooked while the team discussed how the rest of the day would pan out. The arrival of some female company: Daniela from San Franciso who traded her foil for wave gear & braved staying with the Bridge family in a tent!! 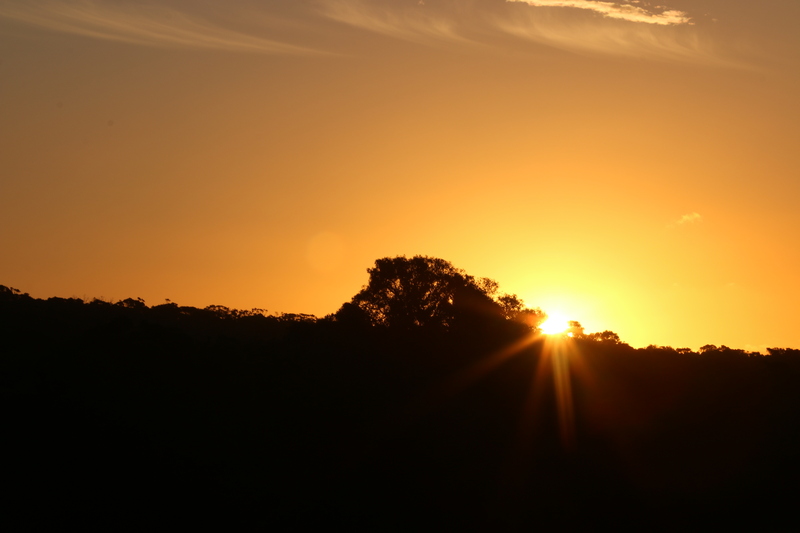 Blessed with long hot windy days, cool nights and an abundance of wild life, kangaroo’s & bronzed well toned ‘Blow Inn’s. Cooking for 6 people meant we got through some calories! 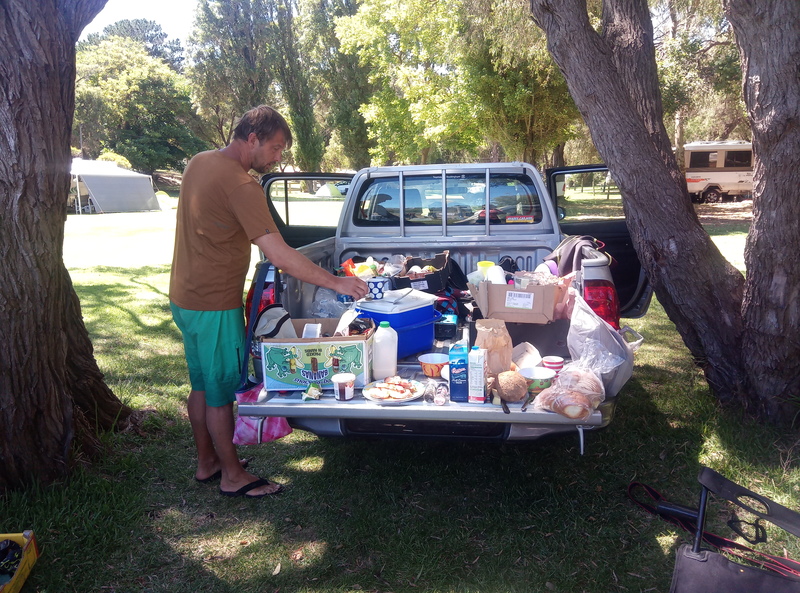 A rather unique shopping experience to re-stock at the local town- Margret River: home to the best wineries & coffee shops, the small town boosts raw living & a hippie culture to the max. Evening sun set was spent cooking overlooking ‘main break’ & being part of the evening sundance of shooting stars. Christmas came & went with sessions moulding into each other until another bigger swell arrived to help us celebrate New Year in style. Time to get back to work, school, planning, organising, emailing, decision making and all stuff which surely could wait till next week! 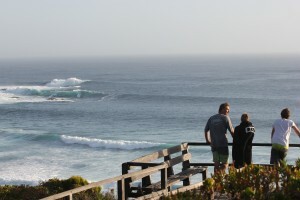 Yes, maybe there is time for 1 more wave & another session??? 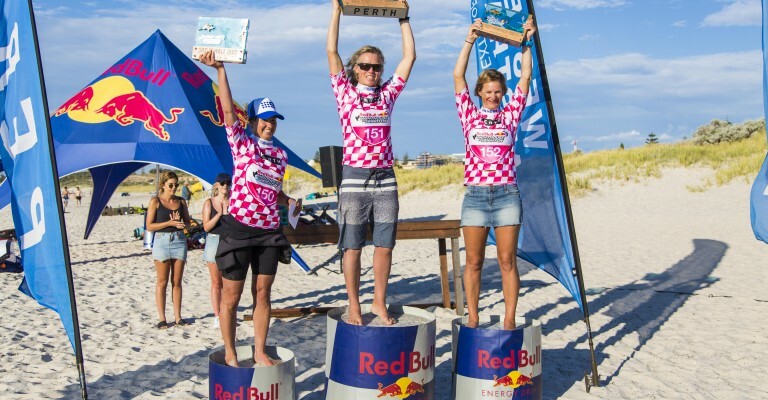 Mother and son kiteboarders Olly and Steph Bridge won the eighth edition of the Red Bull Lighthouse to Leighton race in Fremantle, Western Australia – a repeat performance of the 2014 race. 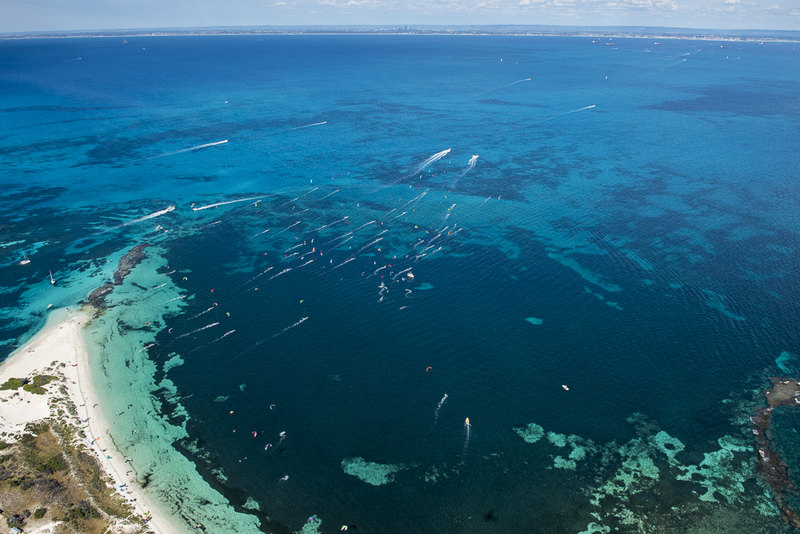 In 17kn winds and clear skies, Olly was ahead of the pack for most of the race, sailing seamlessly on the open ocean from Rottnest Island to Leighton Beach Fremantle in 19 minutes 34 seconds, 42 seconds ahead of second placewinner Theo De Ramecourt from France. This was Olly’s second Lighthouse to Leighton win (he won in 2014) and his fifth attempt at the race. The 20-year-old competed in 2015 and 2016 but had mishaps in each of those years so it was a case of third time lucky. “I didn’t have any crashes this year, I was in front from the start line and managed to get away from the other guys early,” Olly said. 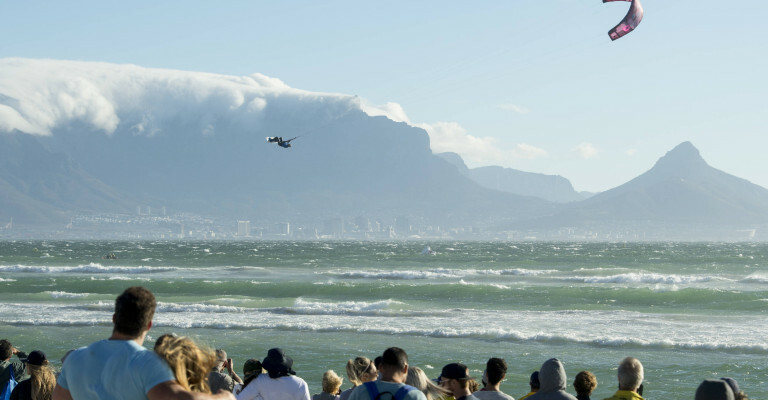 The race was delayed for about an hour while the wind picked up. Olly’s mum Steph Bridge won her fourth successive Lighthouse to Leighton convincingly, in 25 minutes 12 seconds, more than three minutes ahead of the next fastest female, and 12th overall. 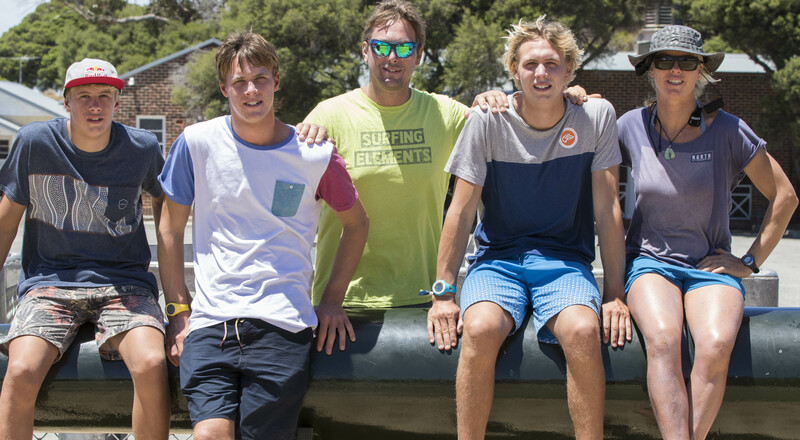 This year her whole family was over from Devon, UK and racing – husband Eric and sons Olly (20), Guy (18) and Tom (16). She said with the whole family racing she was definitely in a different mindset to when she races on her own. “I was thinking Guy or Olly could have won, both were in a position to do well. 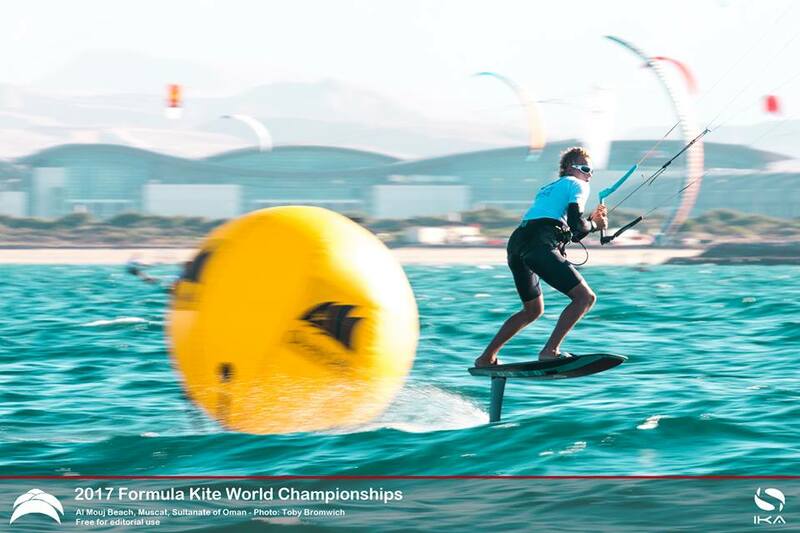 Poor Tom had a kite tangle at the start so he was out for the race so I was disappointed for him, Eric just wanted to get from A to B, and myself – I was borrowing a foil and a board. We’re sharing kites and I got left the little kite! I wanted to make sure everyone had left the beach before I took off. It’s a race which is about taking part. Of course, we’re all in it to do our best and it’s great to have everyone racing. I’ll be back next year to get a better time again,” she said. 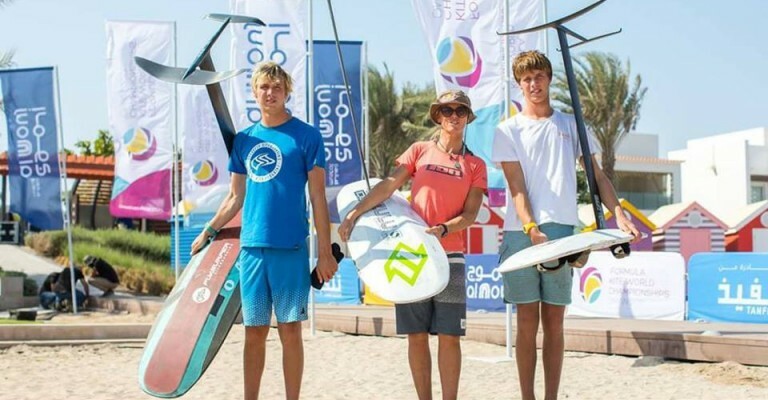 Winner of the Mens Twin Tip category was New South Wales kiteboarder Jordan Girdis in a time of 28 minutes 8 seconds, and Womens Twin Tip winner was Colleen Carroll from the United States who finished the race in 33 minutes 7 seconds, her first time in the Lighthouse to Leighton. This year’s Marc Sprod Memorial Trophy, awarded to the fastest West Australian, was presented to 17-year-old Mani Bisschops from Nedlands. Mani finished fifth overall in a time of 21:40. It was a special award for him as he knew Marc through his dad when they all regularly kited in the same area. Last year’s Twin Tip division winner and five-time world champion Aaron Hadlow placed second in the Twin Tip this year, finishing 29:39. He said the light winds created a challenge. 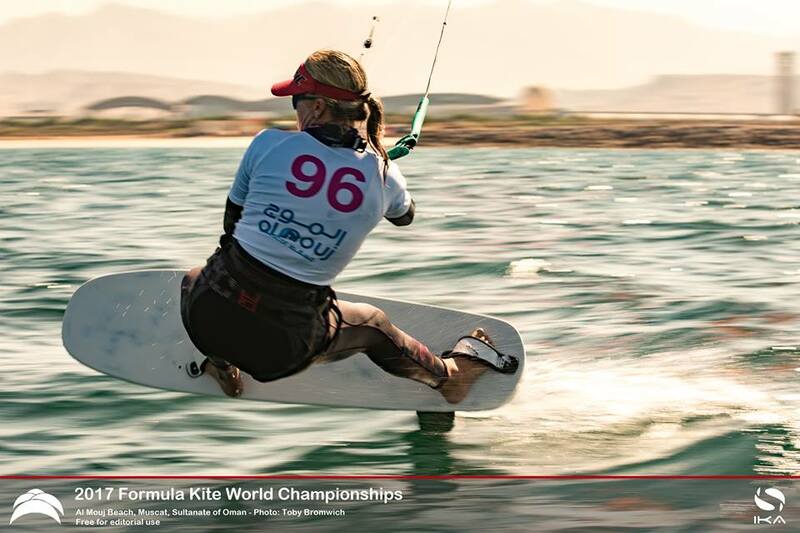 “I had a good start but it was tough in the middle and I was having a battle for wind with another competitor. It gets a bit frustrating when you are going as fast as you can but you can’t make the kite go any faster. It was good fun though,” he said. 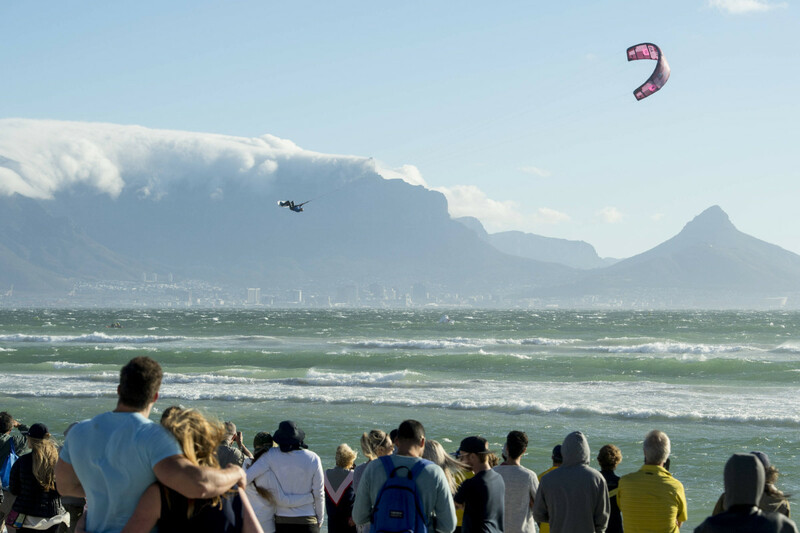 140 local, interstate and international kiteboarders took on the 19km open ocean race – the largest number of competitors in the event’s history. Winners shared more than $9000 in prizemoney. The race record of 19 minutes and three seconds, set by Frenchman Nico Parlier last year, still stands. In the epic conditions on the gulf of oman, framed by a dramatic mountain backdrop, the Team have embraced the challenge amongst the worlds best & fastest. The first 2 days of qualifying saw the sibling Rivalry of Guy & Oliver Bridge score a series of Bullets which took them into Top Placings going into Gold Fleet. 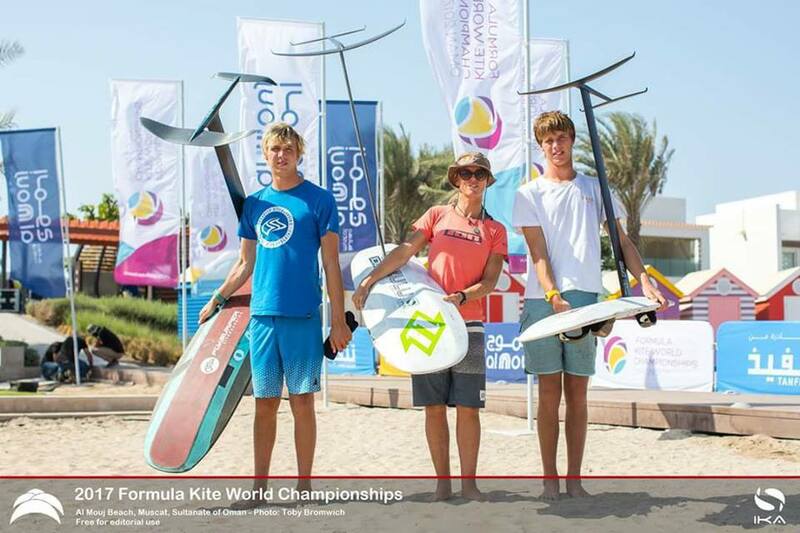 Things were looking really text book for these local boys who have dominated the world kite racing scene this season. A number of mistakes, some gear failure & bad luck took Guy out of contention after day 3 while Olly continued on form scoring nice low numbers & consistent in his riding. It was the final medal Race day which was the real pressure, with a very light wind, short course & a tight draw for which colour will be decided. This was not to be for the GB sailor- Olly Bridge. Missing the Layline and being sailed off the course by french rivalry, the best that Olly could do was Bronze. A big disappointment for Olly who at age 20 has come so close to the Mens World Tittle BUT still his performance has gone up this year and is certainly now in a diferent leauge wih a very bright future ahead. Both Guy & Olly train together & will now prepare for the 2018 Season which see’s the next World Championships in just 6 months in Denmark. The best things happen to those that wait for them!! Meanwhile – Mum & Coach -Steph Bridge was competing in the womans division and did not give up the fight for podium amongst the womans fleet. The lighter winds suiting the lighter riders, steph came away in 4th position and happy that she was in the mix & able to compete amongst the top female riders. Incredible speeds that Olly Bridge & Guy Bridge managed on this 80mile work out round the Isle Of Wight and although Olly could easily have beat the sailing record of 2hrs 21mins, perhaps by getting this close just makes us more hungry? Want to succeed at Red Bull Ragnarok? Read this! The winter season is finally here. 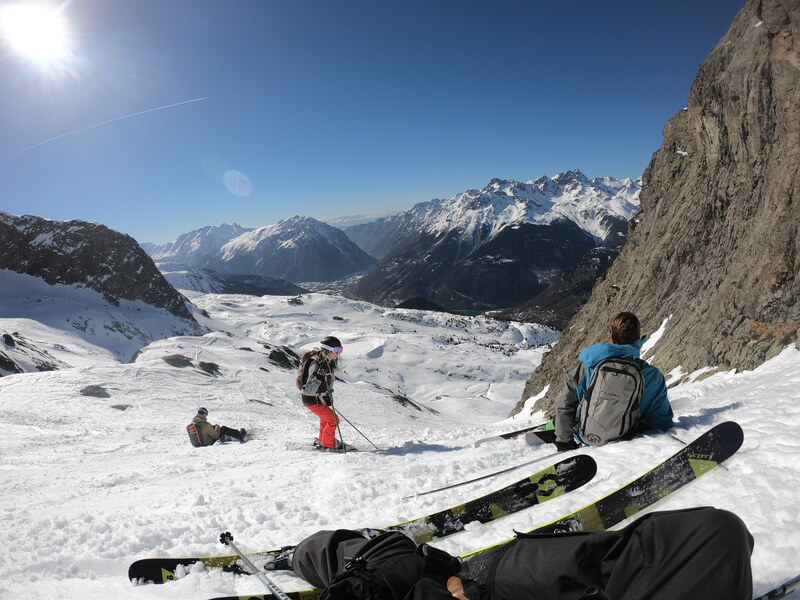 Feel the cold and fresh air, and prepare for the sixth edition of Red Bull Ragnarok! We’ve gathered insider’s advice from three prolific personalities on how to best prepare, and keep it going during the race. Remember, a race is never won or lost until it’s over. Suddenly the wind turns in your favour. 1. Kite as much as much as you can! Any chance you get. 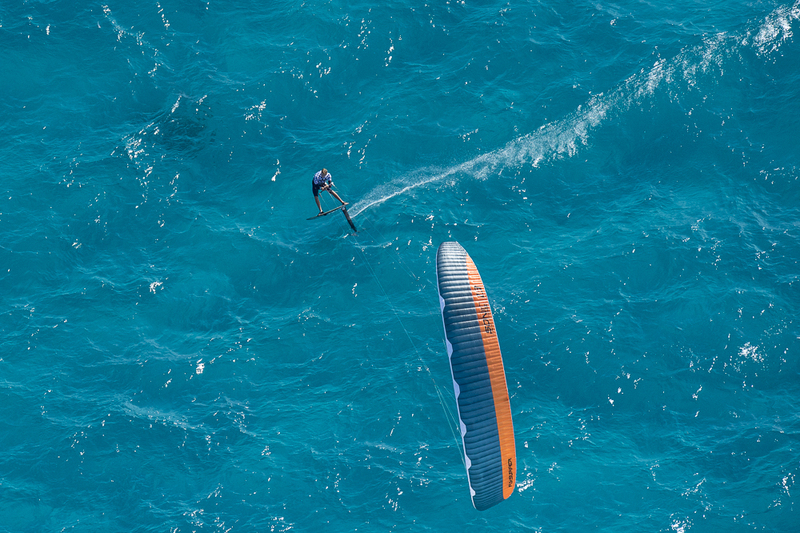 The more comfortable you are with your kite, the better you’ll perform in the race. 2. In front of the race you should be familiar with keeping a straight line in light downwind, for example by looping the kite effectively. 3. The wind conditions are, obviously, important. Watch the weather forecast, and keep an eye on the changing conditions too. Nature is unpredictable. If the wind rises significantly, you might want to switch to a smaller kite. – PS! It’s fun to excel on your own, but even more fun to succeed together. 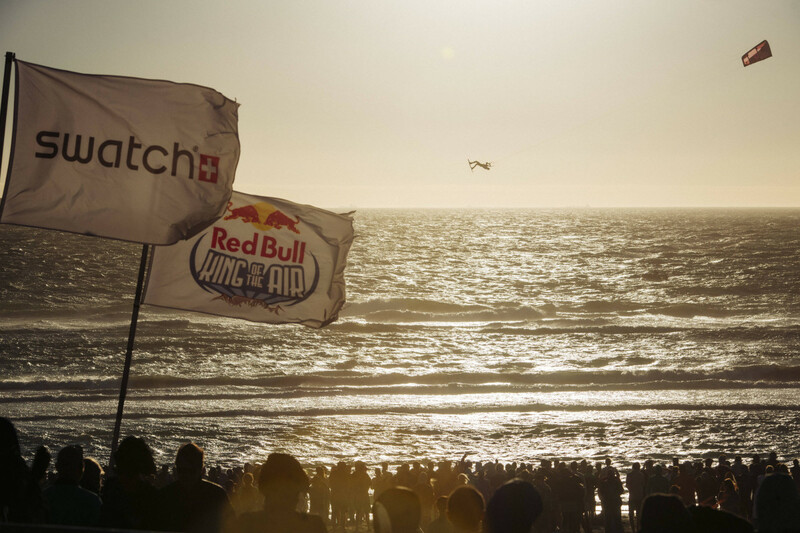 Red Bull Ragnarok is more than a competition; it brings us together for common experiences, friendship and solidarity. 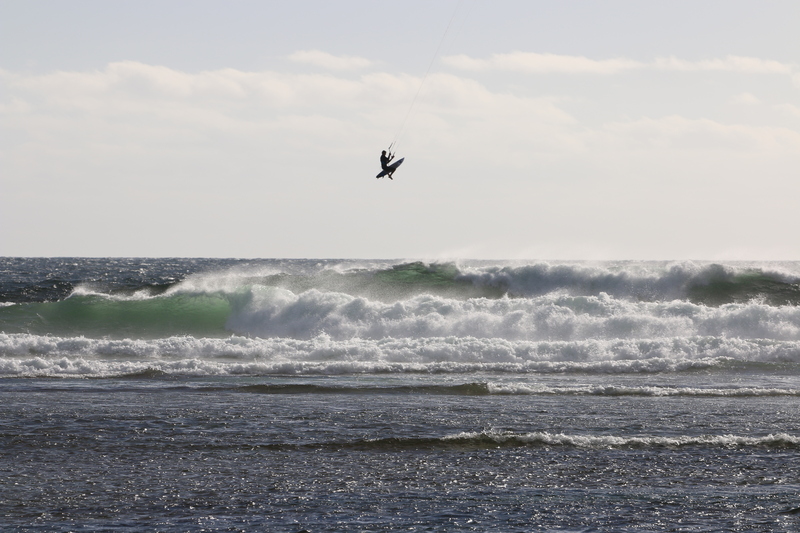 Raised in Red Deer, Canada, and been kiting for over six years. 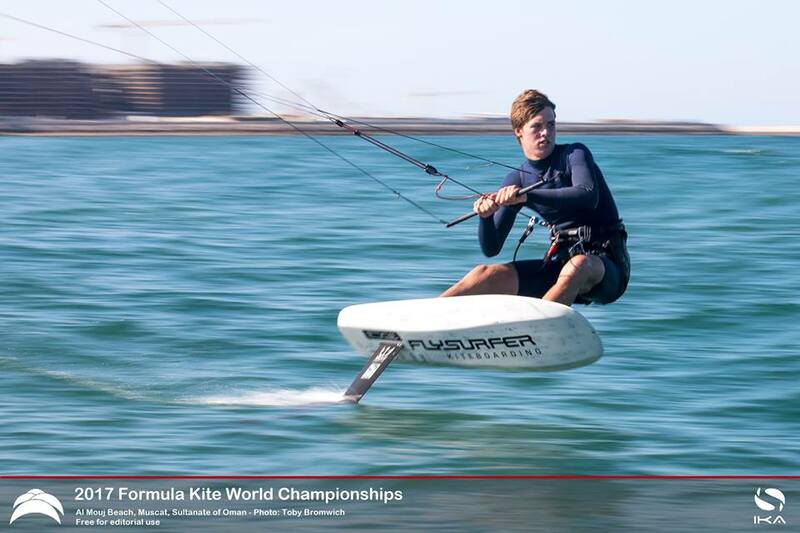 Amongst other achievements, he has a Red Bull Kite Farm victory and 2nd place in Canadian Kite Formula on his résumé. 1. Prepare yourself mentally. Leave behind any thoughts that hold you back. 2. Aim to become stronger, faster and better than you were yesterday. Getting in shape does not happen overnight, unfortunately. The main ingredients are hours of training and commitment. 3. Have fun! 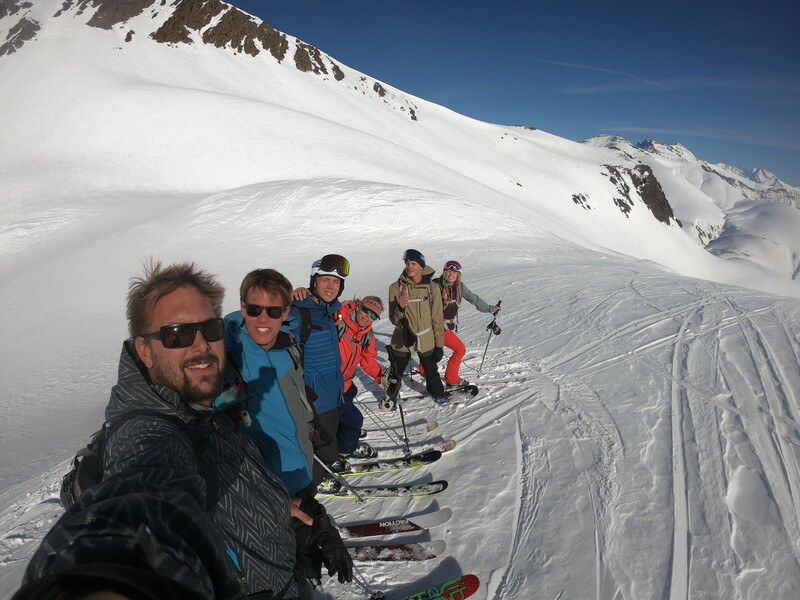 Whether it’s on snow, water, ski or snowboard. Contests are just an extension of something I – and you – love to do! – When it’s time to perform, you just have to stick to what you already master. The main difference between competitions and training is the pressure. Everything will not go as you planned, but trust yourself, and keep going. Perseverance and a positive mind are the key factors to reach the finish line. 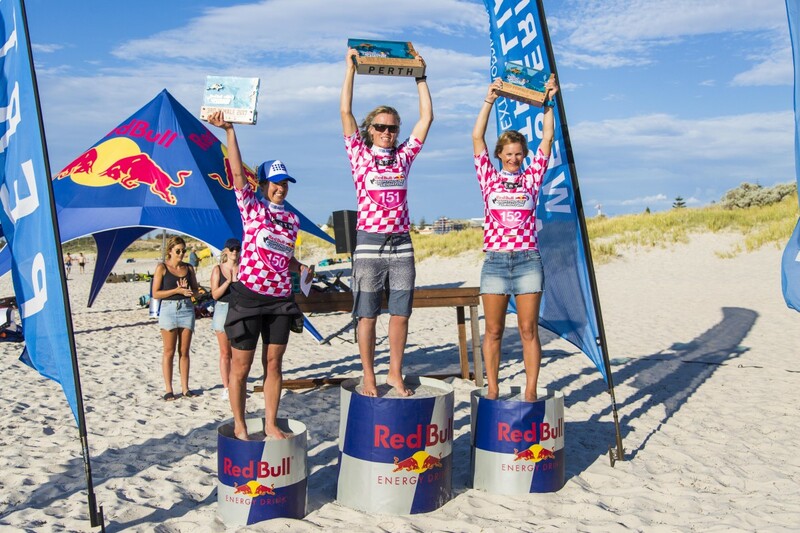 Three times world champion, winner of Red Bull Ragnarok, Red Bull Lighthouse to Leighton, and more. Steph compete a lot, and so does her husband Tom and their sons Guy and Olly. 1. 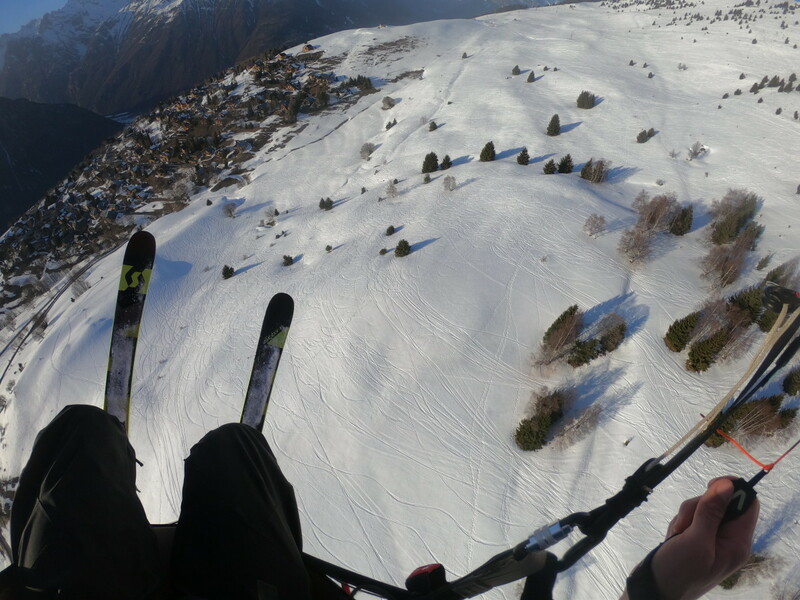 Arrive a few days earlier, and do some training laps. The local kiters kite this spot a lot, which gives them a huge advantage. 2. Use a kite that matches the conditions. Nothing is worse than having to walk up the hill… With light winds it may be advantageous to use a foil kite. 3. Participate in competitions, whether it’s on water, a marathon, triathlon or similar; everything that will help you get into competition mode. 4. Eat slow carbs for breakfast, and bring drinks and snacks with a lot of calories. Drink a lot of fluids in advance. Stay right, and go past the pack early. – It’s easy to get frustrated. I have participated twice without reaching the finish line! Nevertheless, I won last year. Keep your spirits up and remember that a race is never won or lost until it’s over. Suddenly the wind turns in your favour. Følg med for flere nyheter om Red Bull Ragnarok! 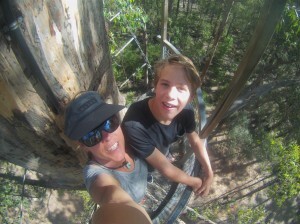 Our trip to Western Australia has been an incredible journey with a difference. 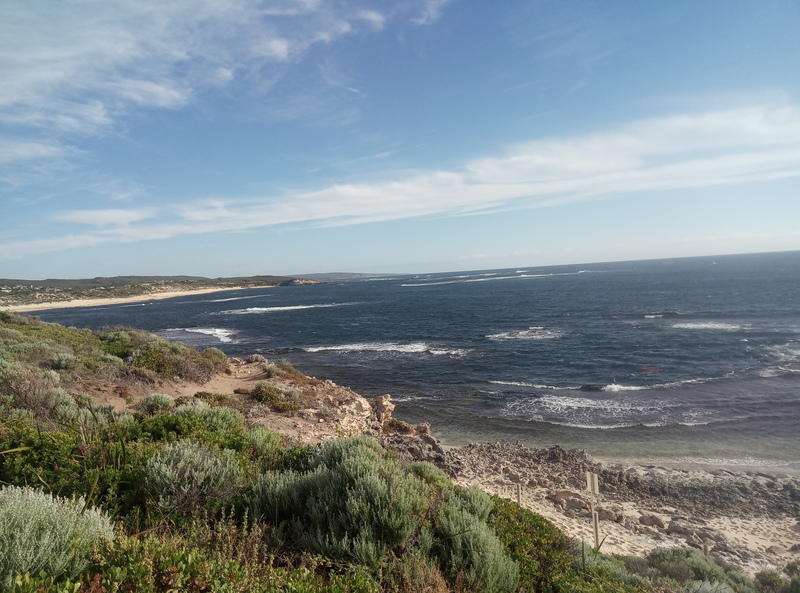 An invite to the inaugual 20km Red Bull Lighthouse to Leighton race off the coast of Perth was an opportunity to take the family to the sun & wind over Xmas. 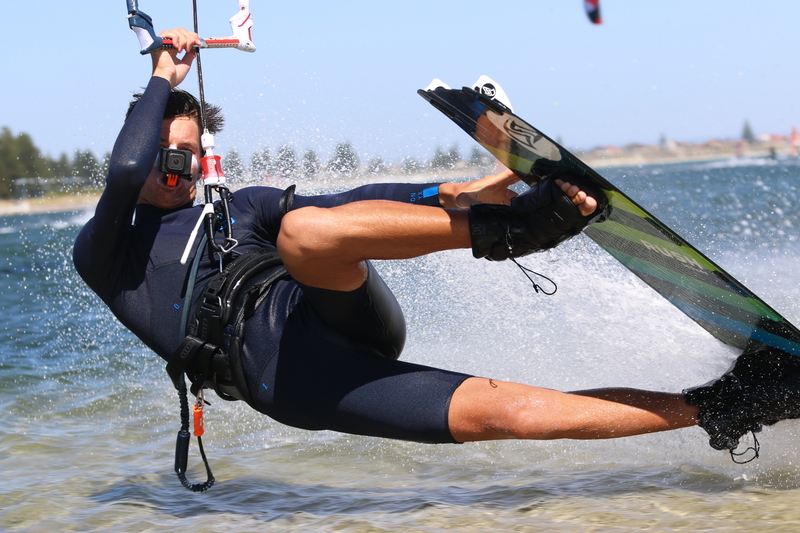 Back in October Tom was diagnosed with an osteochondral fracture of the left femeral lateral knee which meant that his arrival into the kitesurf playground of WA was now quite as planned. 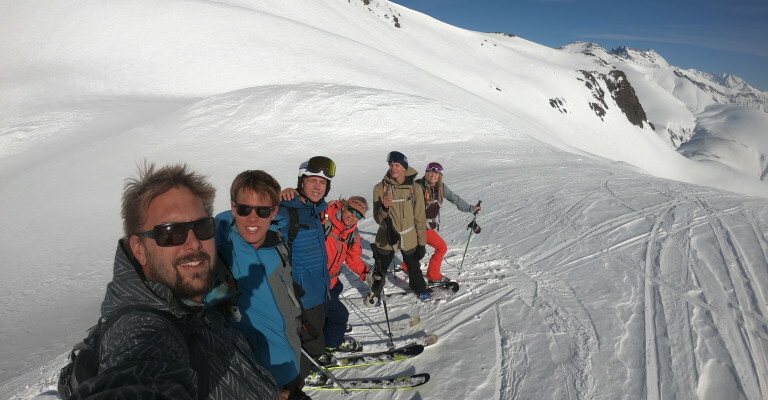 7 weeks post operatively, Tom arrived off the plane on crutches & in a brace. 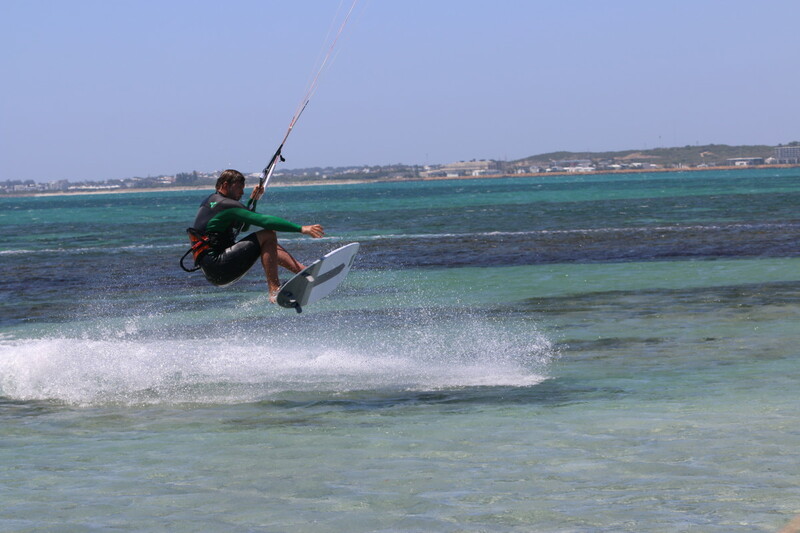 Kitesurfing was a long way from his daily routine right now, instead static quads, walking through water & sand, swimming with a float between the legs to avoid using the left knee. My little physiotherapy knowledge from my days at Kings University London was being put to use at last! South of Mandera we were going well until a clicking noise and bad smell came from the engine. We pulled off immediately and black smoke was coming out of the engine. The party was over, it was boiling hot with all these flies attacking us and alot of head shaking! A tow back to his owner, train back to Perth to pick up a working truck and a day later we continue the trip south towards Denmark. Arriving at Walpool camp site we were grateful for the magnificent trip through the Kari forest and natural beauty of the area. Kangaroo’s dotted the fields, large cattle, the occasional fire in the wood smouldering and the incredible orchestra of birds singing & talking all night. We had stopped on route at the ‘Diamond Tree which is a huge 54mtr high Kari tree which you can climb. Tom was mega keen and I followed him up focussing only on the rungs & holding on. 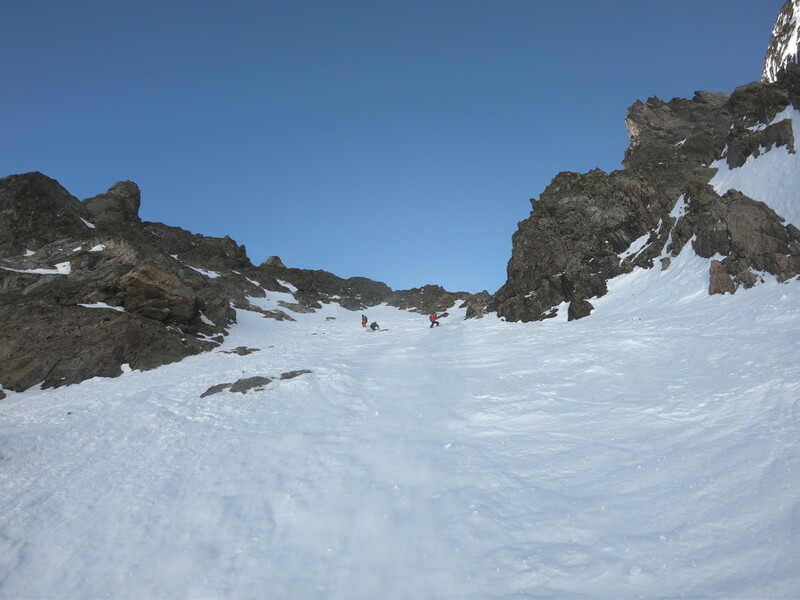 Eric & Guy managed the mid station while I put a brave face and was happy to get a bit more feel for heights. Incredible view above the tree’s and the swaying of the tree as we stood on the top was pretty real. 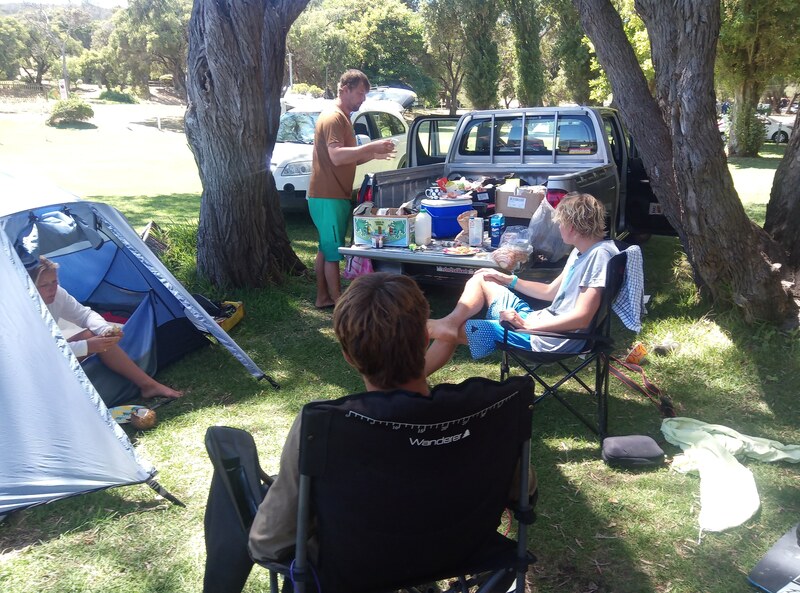 Around the Denmark area we swam, kitted, educated ourselves on the many old Karri tree’s and enjoyed camping & living outdoors. Tom’s knee seems stronger by the day and despite a small boulder incident where he decided to get washed off a family high boulder by a wave, he is busy & involved with his rehab. 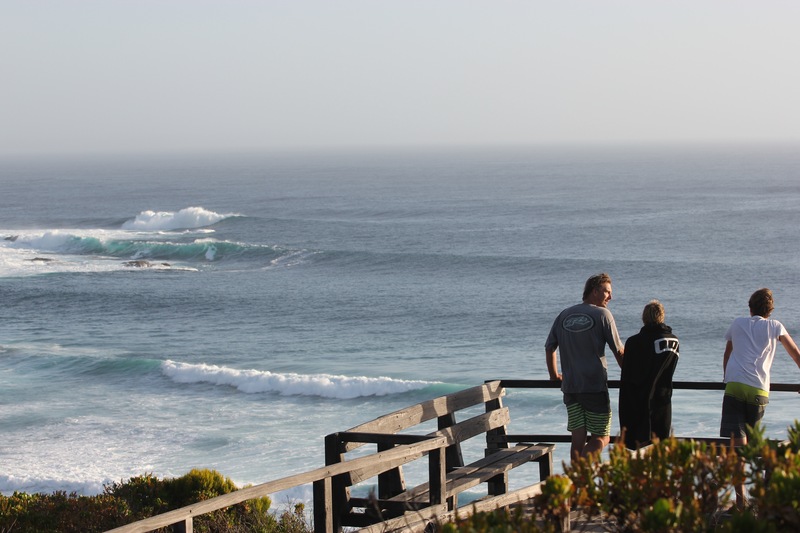 Returning to Margaret River to join the Hamptons for Xmas day, we experienced some pretty world class conditions at main break.